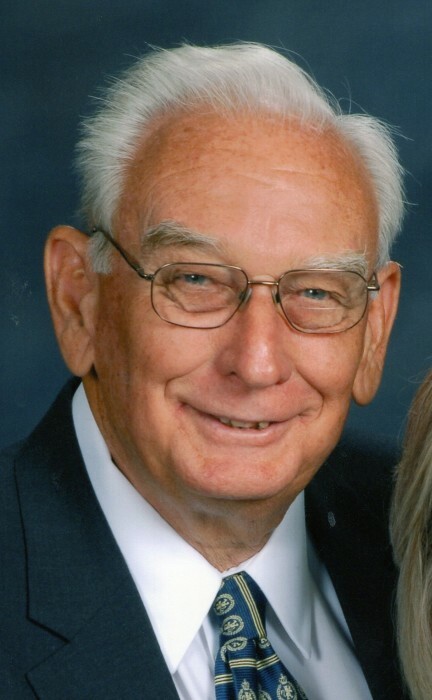 Mr. James E. “Jake” Lanier, age 85, passed away Tuesday, April 2, 2019 at Hospice Savannah while surrounded by some of his family. Mr. Lanier was born May 8, 1933, in Stilson to the late Daniel Edwin and Zedna Hughes Lanier. Jake was a veteran of the United States Air Force having served as an aircraft mechanic during the Korean War. Jake was the owner of Eastern Travel Center for nearly 30 years, enjoyed photography and was the videographer for the Cobra Club. He was a member of South Newington Baptist Church; attended Silk Hope Baptist Church; and was a member of the Zarubbabel Masonic Lodge, F & AM for over 50 years. Mr. Lanier was preceded in death by one infant great grandson, Michael Ray McAdams. Survivors include his wife of 65 years, Avis Marie Ulmer Lanier; daughters, Pamela Darlene (Paul) Schlabach of Lawrenceville, GA and Janet Marie (Richard) Tyson of Garden City; grandchildren, Wendy P. McAdams, Jeff Pope, Matthew Tyson, Kira Sikoryak Mark Tyson, and Stacey Blackwelder ; 12 great grandchildren, five great great grandchildren, and many nieces and nephews. Visitation will be held. 6-8 P.M. Thursday, April 4, 2019 at Silk Hope Baptist Church of Garden City. Funeral service will be held 11 A.M. Friday, April 5, 2019 at Silk Hope Baptist Church with Rev. Jonathan Phillips officiating. Interment will be 2 P.M. Friday at Ash Branch Cemetery in Pembroke. Flanders Morrison Funeral Home is in charge of the arrangements for Mr. James E. “Jake” Lanier.